First of all, if you want to build a hearth, you need to reach level 10 or above. Then you need a hearth stone foundation to build a hearth. The material of the hearth stone is very simple Wood and stone, when you create a hearth, you will be given a name for your hearth. When you create your hearth, there are some basic models to send you. If you don't build your own house, you can build it according to the basic model . If you are not satisfied with the original hearth style, you can make your own transformation, then when you are close to hearth, you will see a construction button. When you click it, you will see the construction page. The house is built, we finally have a hearth, and the concern is the problem of self-sufficient food. 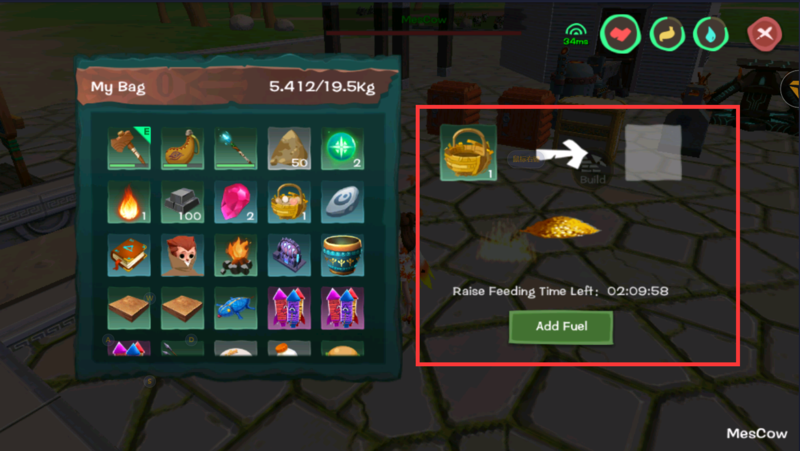 As mentioned earlier, water can be collected directly, food needs cooking, and if you don’t like to collect, you can choose your own. Raise yourself. The basic material of food can be grown in wheat. First of all, you must have cultivated land. The cultivated land is in the production interface. It can be made with simple materials such as clay. It can be placed in your hearth where you think it is suitable. There is land, of course, there must be seeds, there are many seeds in the game, wheat, pepper, potatoes, etc. have seeds to grow. Not only can vegetables be grown, but trees can also be grown. For example, coconut trees, apple trees, bamboo, pine trees, etc., even flowers can be planted through pots, lotus and so on can also be planted. Then we can't be vegetarian, we must eat it. 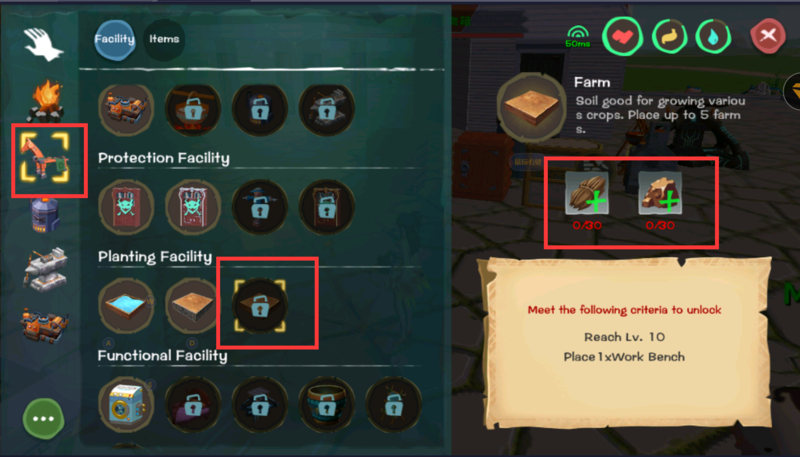 In addition to farming, the game can also be farmed. Cats, dogs, cattle and sheep can be raised. Some can not only watch the house, but also give us food. For example, chicken can produce eggs, and cows can produce milk. How to produce it? For example, you can choose chicken and then choose to produce. 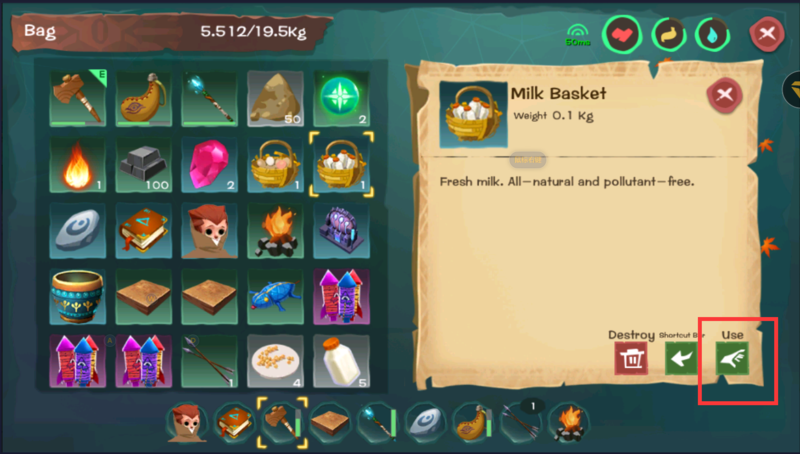 This interface is not very familiar, similar to the interface of smelting, except that the tools needed for production are woven baskets, and the added feed is wheat bags. 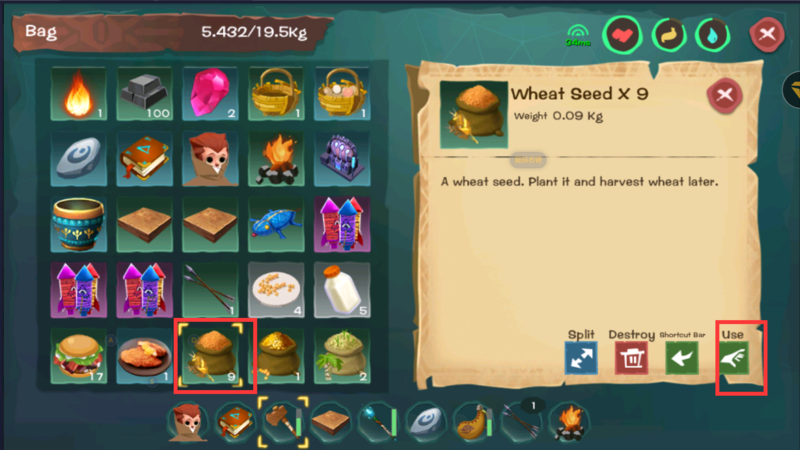 A pack of wheat has a lot of feeding time. Then after a while you will find that there will be food produced in the production, and you will find it in the bag after clicking it. 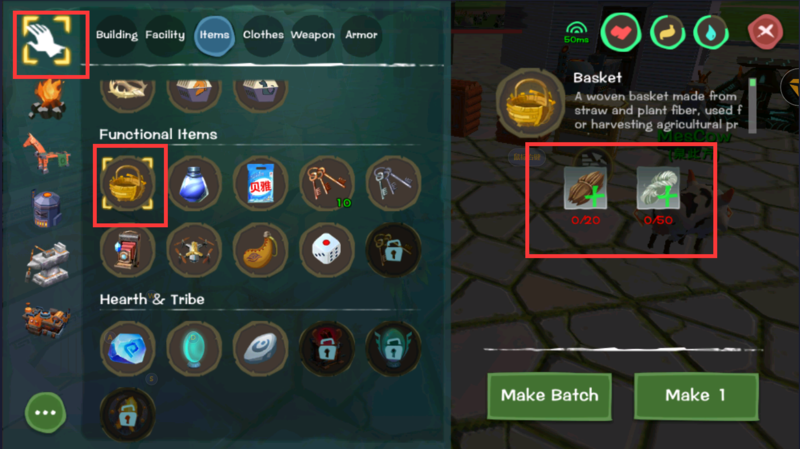 At this time, if you click on it, you will separate the basket from the raw product , which is very simple. Feeding yourself, producing by yourself, is completely self-sufficient. The woven basket is an important tool for production, and the material of the woven basket is also very simple. There are all kinds of clothes in the game for you to choose to make, and you can see the production materials behind when you open one. The better the clothes, the higher the manufacturing materials. You need to slowly explore the game yourself. Of course, you can also play in the game. 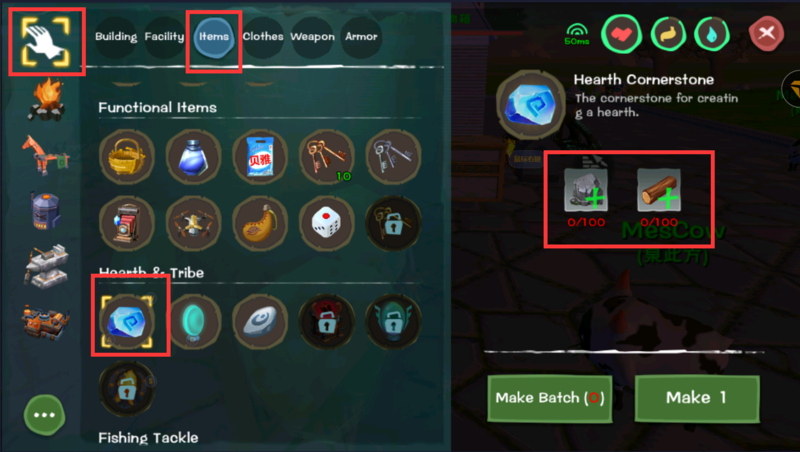 It is a good choice to buy finished products in the mall or exchange them with the bottle caps for daily landing rewards. After saying this, I would like to talk about the upgrade of the hearth. After the establishment of the hearth, it is a level one. If you want to build a bigger house, you need to upgrade your hearth. 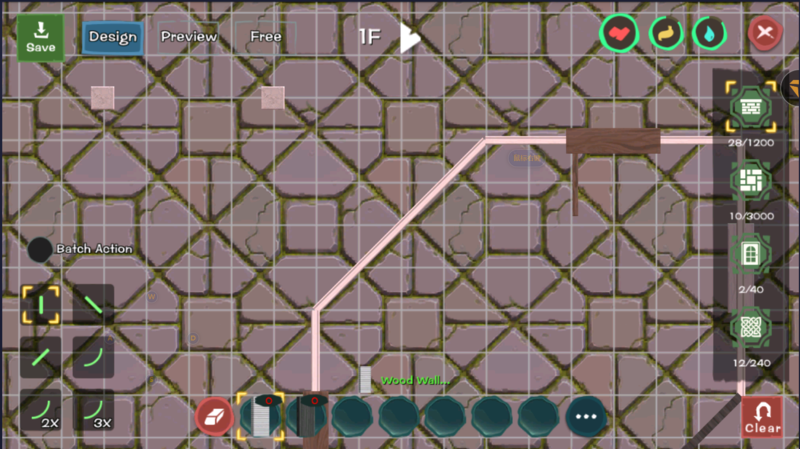 There are upgraded hearths here, click to see the required materials, the advantage of upgrading the hearth is to increase the number of hearths, hearth area, hearth construction materials, the maximum ceiling and hearth floor. 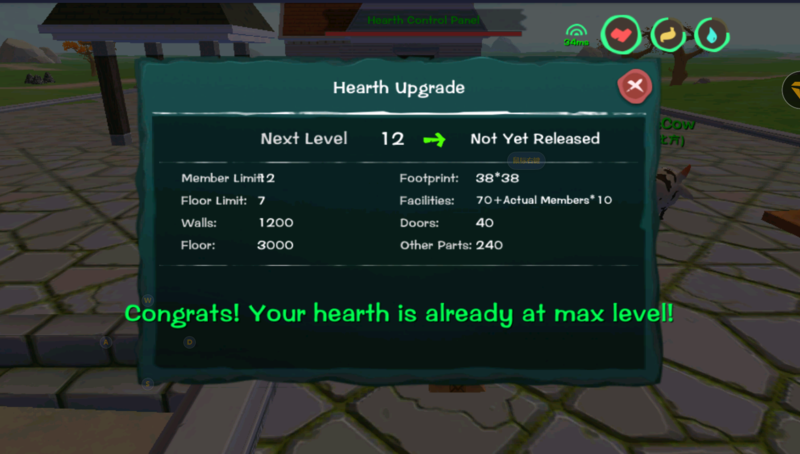 The full level is a 12 -level hearth, then everyone will become a 12 -level high-end hearth. 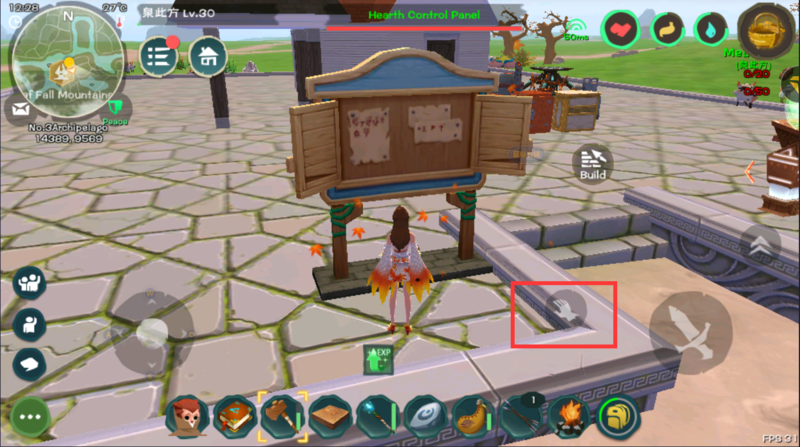 On the other side there is a hearth message board, your hearth, your building, you can be commented by others, if the hearth is very beautiful, it will be recommended by the official to the game landing hearth, then you are the building .